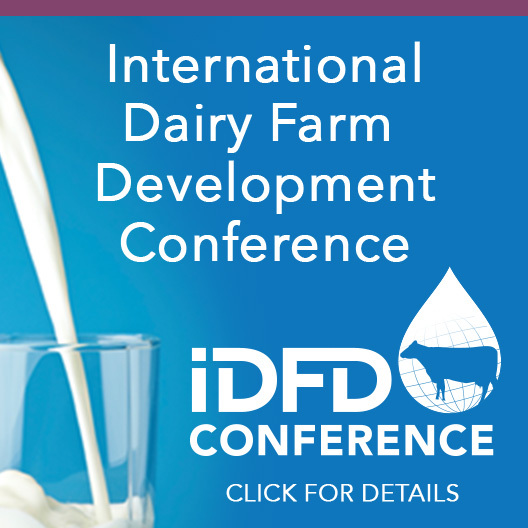 Miedema Dairy - Five-G Consulting, Inc. Double 20 parallel with cow ID, milk weighing, and fully automated milking system. 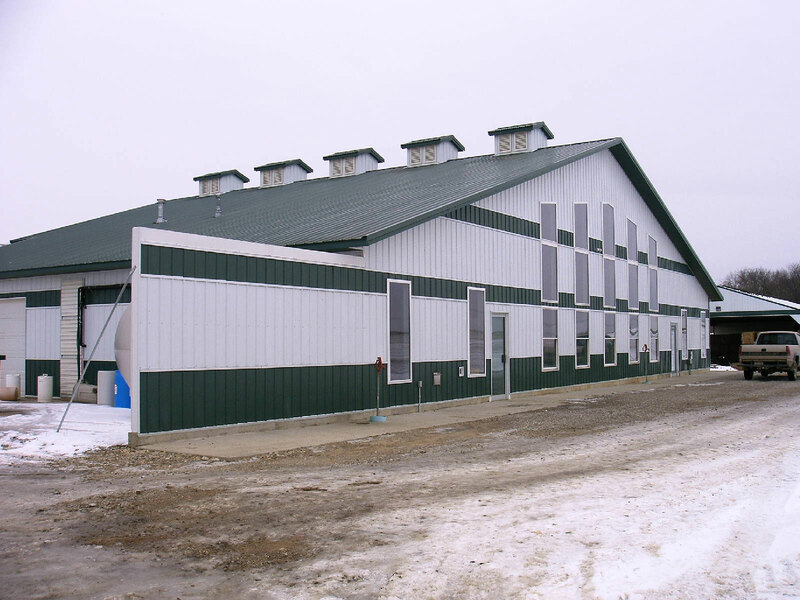 Two 340′ x 100′ four row freestall barns, house 150 cows each. Covered transfer lanes join to main dairy building. Fully integrated flush system for all lanes. 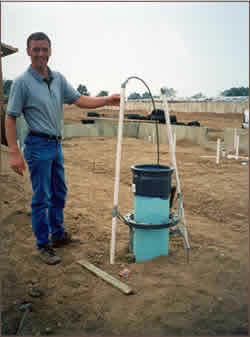 Solids separation, 180 day storage pond, recycle system. Waste water is spread through adjacent center pivot irrigation systems onto cropland. 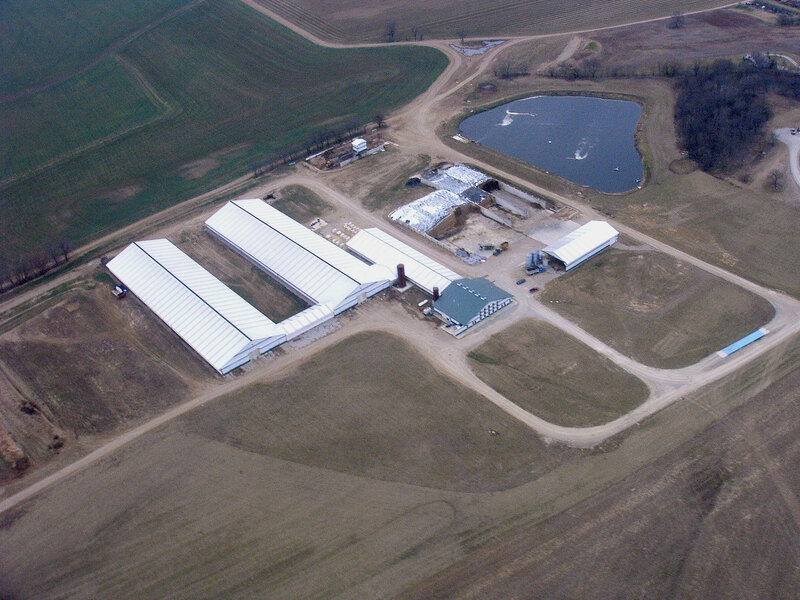 Involved from the very beginning, Five-G Consulting worked with the owners, equipment manufacturers, local contractors and state agencies to successfully permit and build the new Meidema Dairy in Circleville, OH. The experts at Five-G designed the entire facility and were on-site at regular intervals throughout construction providing design and construction review services for the entire project from ground breaking until the first cow was milked. One of many, regular on-site, design and construction reviews. 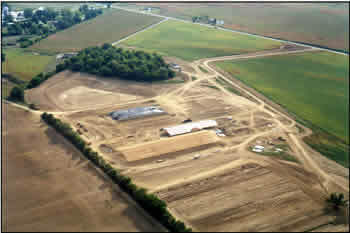 A bird’s eye view of frame construction taking place on the first barn. 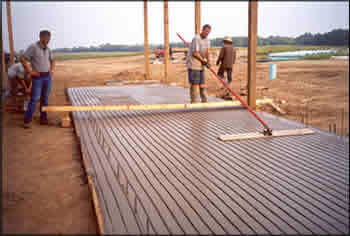 Construction of the feed lane. 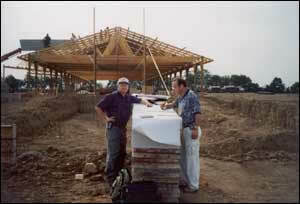 Owner Andy Miedema shows the importance of complete planning prior to construction. This flush supply pipe is accurately positioned and includes required air supply, drain line, and thrust cable so surrounding work can continue uninterrupted. 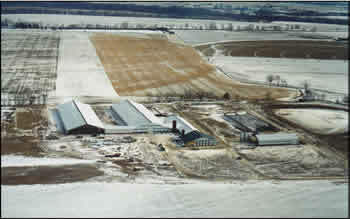 Aerial view of the Miedema Dairy in winter.